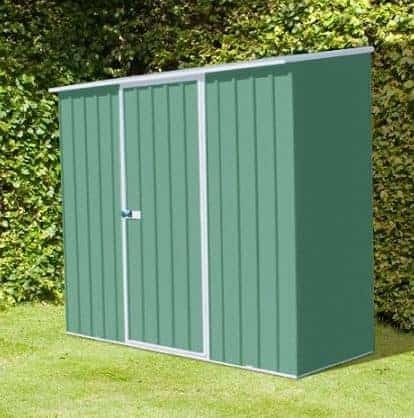 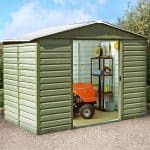 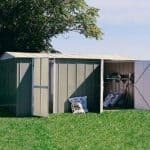 The 7.5 x 5 pent metal shed is a neat little structure that can fit into any garden, and it continues to bring value to you and your garden work all year round. 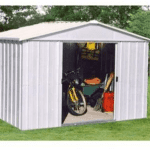 It has been created using special BlueScope Steel. 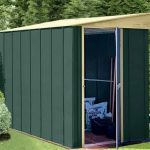 The steel is very durable, and you have a 20 year anti-rust guarantee as standard with the building. 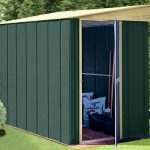 Unique hinged doors are supplied with the shed, so all the space you can possibly have is maximised further. 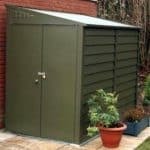 The pent roof prevents water from building up and causing rust.